MetaCoach - Clear Leadership - Through Changes Fast! « Vadītāja situācijas un to risināšana! 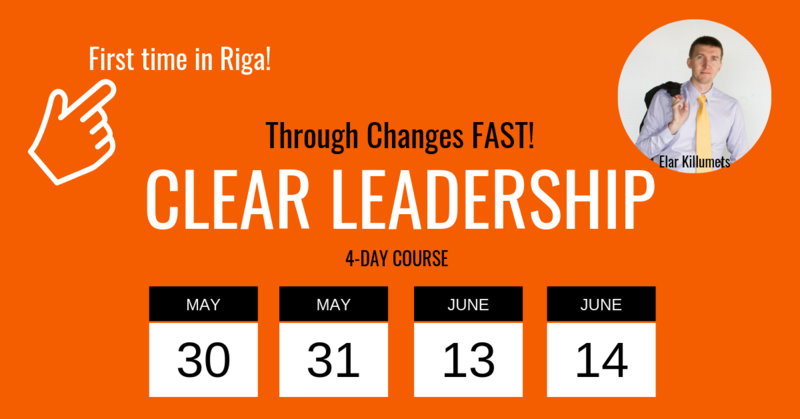 A unique set of skills that will radically increase your capacity to guide organizational change! You feel tired of being the only initiator and driver of changes in your company. You are struggling to implement technologies or process improvement as your employees do not seem to come along. You want results fast – you can’t afford to analyse and plan changes for months. You need results! You want to take your company to the next level – FAST! You dream of the day when each and every one of your employees is standing for the wellbeing of the whole company. You want your employees to be motivated and eager to implement changes. Why should I choose the Clear Leadership program?